The #6 Sabercats of Sabino High School travel to Snowflake to take on the #3 Lobos in the 2018 3A State Football Quarterfinals. Click the image below to watch the full game. The Sabercats are the 3A South Champions this year, and the Lobos are the 3A North Champions. The Lobos are 9-1. Their only loss was their 2nd game of the season, a 14-8 heartbreaker to the 3A Central Champion Chargers of Ben Franklin High School. Sabino beat the Chargers 21-14 in their 5th game of the season, and come into this contest with a 9-2 record, losing in the first 2 weeks of the season to 4A opponents #22 Casa Grande (21-6) and #5 Sahuaro (34-7). In common opponents Sabino is 5-0 and Snowflake is 3-1. The extra game was Sabino’s dominant win over Blue Ridge (38-6) in last week’s opening round of the playoffs. That was the second time Sabino played Blue Ridge. The first time they beat them by only one touchdown (14-7). Snowflake also had a one-touchdown win over Blue Ridge during the regular season (28-21). Snowflake did however, get a decisive win over Safford (22-7), while Sabino narrowly won by a field goal (20-17). Both teams seemed to play equally well against Pusch Ridge, their only other common opponent. Sabino won 23-7 and Snowflake won 21-7. Statistically, Snowflake has a slight advantage over Sabino. 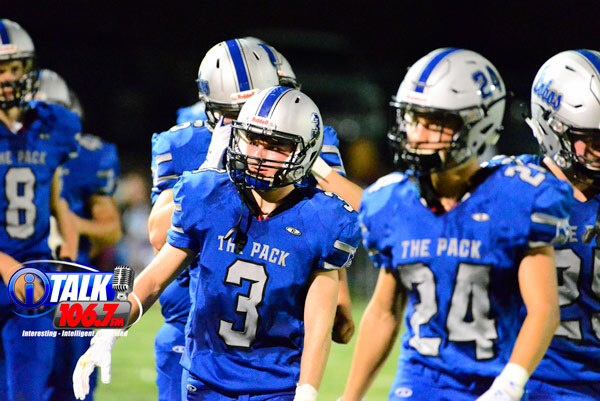 The fact that Snowflake has home-field advantage and Sabino has a 5-hour bus ride before the game stacks the odds of winning even higher in the Lobos’ favor. But make no mistake, Snowflake will have to play well if they are to come out on top. Two keys to their success will be ball security and red zone execution. If they execute in those two areas, we will see the Lobos in the State Semifinals next week at Shadow Mountain High School.